As drought tolerance is a multidirnensional stress, drought tolerance study is a multidisciplinary adventure. 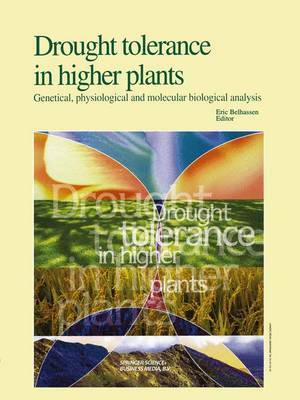 In 1992, the network INTERDROUGHT was created with the objective of joining the scientists of the different fields of research involved in drought tolerance study. The network was funded by the EEC and gathered 25 European teams specialized in molecular biology, physiology and geneties. 1\vo workshops were successively organized in 1993 in Sitges (Spain) and in 1994 in Ischia (Italy). After those two European workshops, the necessity of opening the network to the whole scientific community was already clear, and in 1995 the first INTERDROUGHT international conference was held in Montpellier (France). During this meeting, eleven speakers were invited to present a review in their field of research, in a way accessible to all researchers and students, especially those who are not familiar wlth one of the three fields of interest. These eleven reviews are presented in this book. From these reviews three major difficulties arose for drought tolerance irnprovement: - the definition of the drought stress that plants experience; -the differentiation between non adaptive and adaptive response to drought stress; -the identification of the adaptive responses that improved drought yield without decreasing significantly the potential yield. The use of integrated strategies of research will certainly provide irnportant results, such as the recent data obtained on molecular and physiologieal analysis of Arabidopsis mutants.